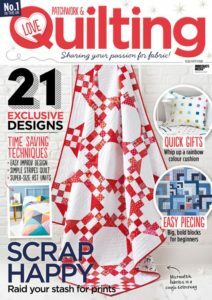 Do you have a favorite crafting or quilting magazine? There are so many great magazines filled with exciting new patterns, and I have quite a few favorites of my own! 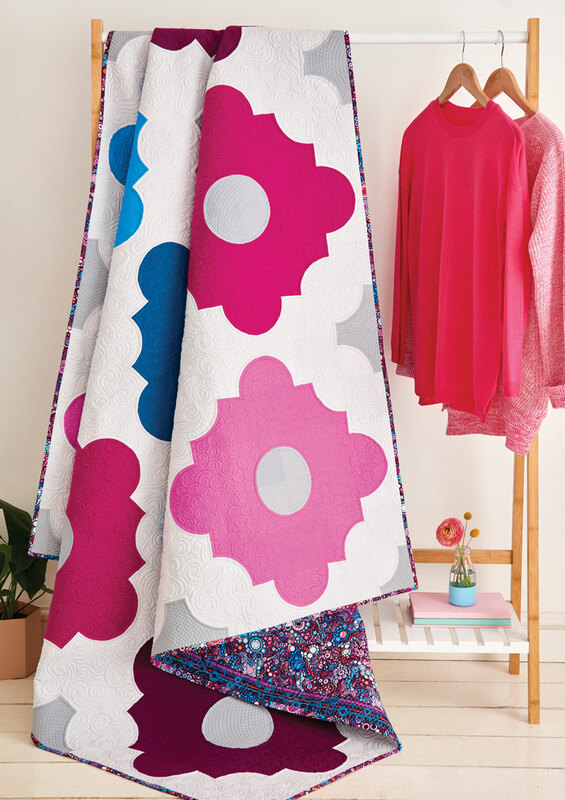 I’m so excited to finally be able to share with you the Moroccan Tiles Quilt in Love Patchwork and Quilting Issue 63. Issue 63 isn’t yet available in the US, but it is on shelves in the UK now. I’m anxiously awaiting my copy in the mail any day now! 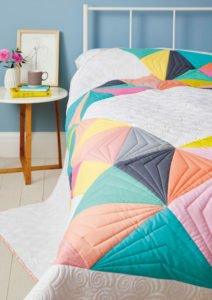 I designed the Moroccan Tiles quilt because I have a secret love of traditional quilt blocks–specifically the different variations that can be made from drunkard’s path blocks. I used to be scared stiff of sewing curves, but there really is nothing to it once you practice a little bit. The shapes I created by rotating and flipping the drunkard’s path blocks reminded me of gorgeous tile work and design shapes. 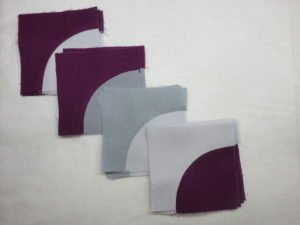 I chose a gem toned palette from some of my favorite Robert Kaufman Kona Cotton Solids and rather than using the standard go-to white background fabric, I love to use Kona Silver! I like to think it makes the background such a shocking contrast, and gives it a softer glow so the other colors can shine on their own. For the backing, I was dying to use Robert Kaufman’s Effervescent fabric. It is a beautiful fabric that looks like it has little champagne bubbles overflowing on the entire surface. The color way I chose coordinated exactly with the colors of Kona Cotton I had selected, so it was definitely a match made in heaven! 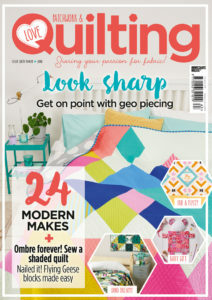 I hope you’ll grab your very own issue of the magazine and check out all of the awesome projects and all of the great contributors, and maybe try something a little new this week that involves sewing some curves? You might fall head over heels for them, just like I did–so you won’t know if you don’t try! Happy sewing!